Long life, a low three percent self-discharge rate and outstanding performance make AGM batteries excellent dual-purpose batteries for boaters who require the fastest recharging, quick starting power and reliable deep cycle ability. 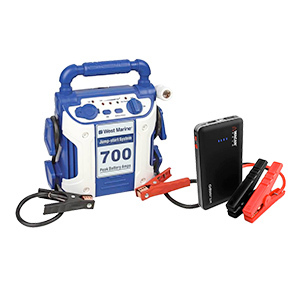 Flooded batteries require maintenance—periodic inspection and topping-off with distilled water. They handle overcharging better than gel and AGM batteries, but self-discharge at a higher rate (6 to 7 percent per month) and thus require off-season charging. 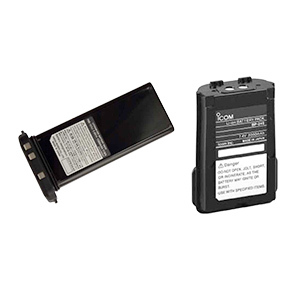 Gel batteries, because they're sealed, are manufactured to very high quality standards. They self-discharge at only three percent per month, handle the highest number of lifetime charging cycles, are maintenance free, spill proof, submersible and leakproof. However, they also require carefully regulated smart charging to prevent damage. Batteries on your boat perform two basic kinds of jobs: starting an engine and running electrical loads like lights, electronics and accessories for longer time periods. 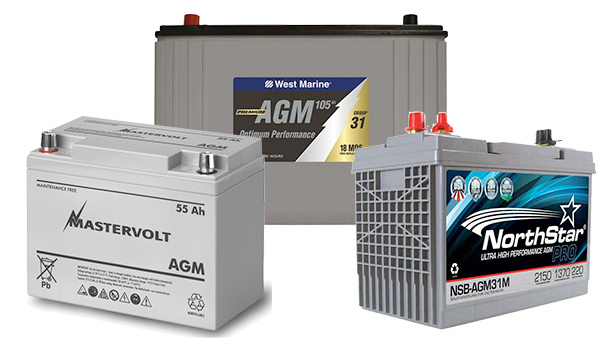 To choose a battery, first determine the battery’s application and then choose from one of the three battery chemistries: Flooded, Gel or AGM. 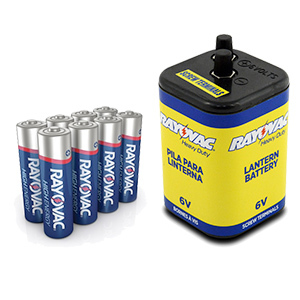 Are you looking for a starting, deep cycle, or dual-purpose battery? Starting Batteries: These are the batteries that crank the starter of your boat’s engine—the sprinters of your electrical system. They deliver between 75 and 400 amperes for 5-15 seconds, and then are recharged in short order by your engine’s alternator. Like all lead-acid batteries, they are constructed with alternating layers of negative and positive plates with insulation between them. Starting batteries have lead-calcium plates that are thinner and more numerous, providing extra surface area to generate high amperage bursts of current. The two disadvantages of this construction are that the plates are relatively fragile in high-impact environments, like a performance boat, and starting batteries do not tolerate deep discharges, which reduce their operating lifespan. Deep Cycle Batteries: Your boat’s House battery bank includes one or more Deep Cycle batteries, the marathon runners of the storage system. 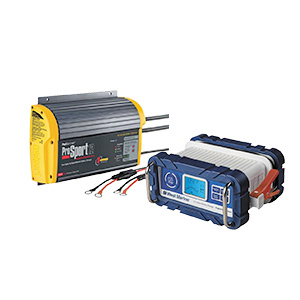 Deep Cycle batteries power the electrical loads on your boat when no charging source (like a shore power charger, engine alternator, wind generator or solar panel) is available. Consider them a kind of savings account into which energy is deposited or withdrawn. Compared to starting batteries, which discharge high bursts of energy for short periods, deep cycle batteries recover fully after being heavily discharged over longer periods because their design features thicker plates with a high content of antimony. Overnight, electrical appliances might deplete 50-70% of the battery capacity, depending on the house loads of the boat. When the batteries are recharged, energy is re-deposited into the bank, and the process, or cycle, starts over. 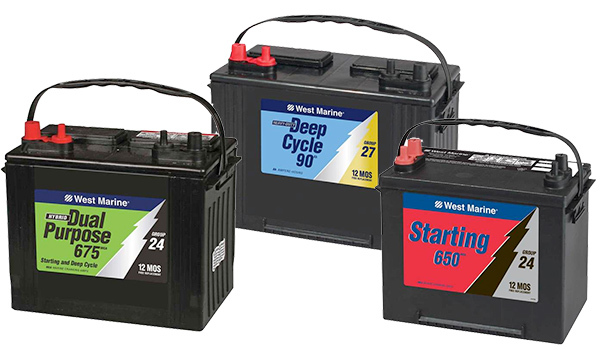 Generally, deep cycle batteries should be sized to store three to four times the expected amount of energy to be used between recharge cycles. Typical recharge time on a boat is every 24 hours. Runabouts or other small powerboats using a single battery for both starting and running loads with the engine turned off. Boats with one battery bank that does double-duty for house applications and engine starting. Dual-purpose batteries will last longer and give more reliable service than a starting battery, for about $20 more per battery. Starting functions: The amount of power available for cranking a starter is measured several ways. CCA vs. MCA: The two common power measurements are CCA (Cold Cranking Amps, the number of amps a battery can discharge for 30 seconds at 0°F while maintaining its voltage above 7.2 volts) and MCA (Marine Cranking Amps, similar but measured at 32°F instead of 0°F). The reason that MCA are 20-25% higher than the CCA is because batteries work better at higher temperatures. Reserve Minutes indicate how long a battery can maintain a load of 25 amps before it drops to 10.5 volts. A battery rated at 150 minutes can operate a 25A load for 2-1/2 hours (at 80°F). Starting batteries aren’t used to handle loads for long periods, so reserve minutes are less critical. 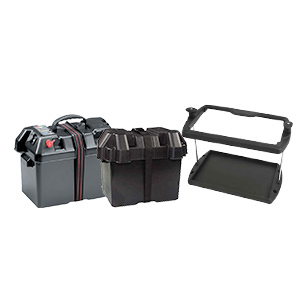 Are you considering a gel, Lithium, TPPL or AGM battery, or are you happy with flooded (wet) batteries? 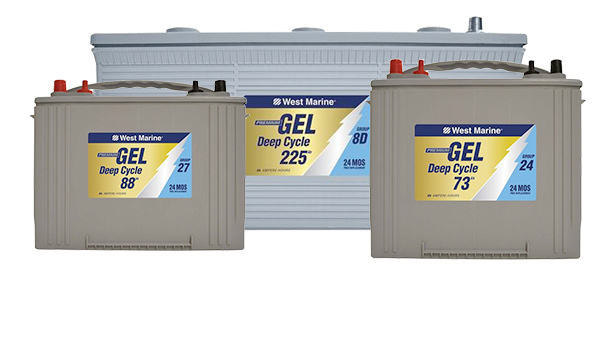 Marine batteries are available in three chemical types for different applications: flooded, gel and AGM (Absorbed Glass Mat). Which type you choose is based on your needs (deep cycle vs. starting), the capacity and lifespan you are looking for and your budget. Flooded Batteries: Flooded batteries, the style of common lead/acid batteries, are the most popular and inexpensive boating battery chemistry. Found in deep-cycle, dual purpose and starting configurations, they can spill if turned over, and require you to periodically add water. 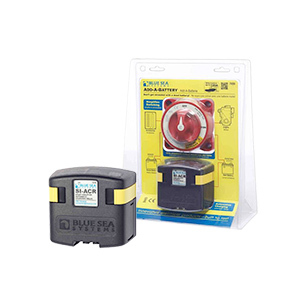 Sealed Marine Batteries: For boaters looking for an upgrade in battery performance, our assortment of sealed batteries is the place to shop. Sealed gel, AGM, Thin-Plate Pure Lead (TPPL) and lithium-ion batteries require less maintenance, boast lower rates of self-discharge and higher charging capacity than flooded marine batteries. Offshore boats generally have two separate batteries or banks of batteries, one of which is used to start the engine, and the other takes care of the house loads. Having a second battery also allows you to use it to start the engine if you run the first battery down. Boaters with an installation of a particular chemistry of batteries (gel house bank, for example) should not add a battery of a different chemistry. This may require that you replace all batteries simultaneously. See our West Advisor article on Installing a Second Battery. How big of a starting battery do you need? If it cranked too slowly, or failed after a season or two, go one size up in CCA or MCA rating. How big a house battery (or bank) do you need? How much energy do you use? Before you start replacing batteries and adding solar panels, start by analyzing your energy requirements. There are two ways to calculate how much energy is used in a given time period (we recommend that you use 24 hours). Create an energy budget by adding up the current draw for each item, and its anticipated length of use. This number, expressed in Amp-hours, determines the size of your battery banks. Examine how much energy each device consumes. We have a handy Electrical Budget Worksheet in our West Advisor article on Sizing Your House Battery Bank. Download the PDF file, print it and start itemizing your appliance loads. How do you measure these loads, when appliances are rated in watts (which describes the work done by the electrical energy), but batteries and chargers are rated in amps or amp hours (which describes the current flowing through the device)? You can use either watts or amps, as long as you are consistent throughout the system, but it is more convenient using amps in your DC system. Fortunately, watts and amps are easily interchangeable, since Watts = Volts x Amps and Amps = Watts ÷ Volts. Use an energy monitor, like the Xantrex LinkPRO or LinkLITE, and let it do the calculating for you. 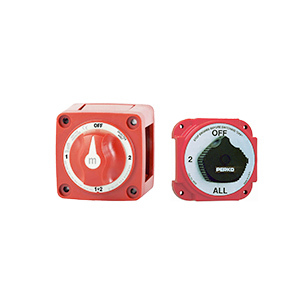 The Vessel Systems Monitor from Blue Sea Systems is even more impressive, tracking data on four critical ship’s systems (DC and AC electrical systems, fuel, water and waste tank levels and bilge pump operation). Cruising Sailors generally plan on being “engineless” for a day at a time, hoping to operate their boats with their engine running only one or two hours each day. This allows other engine-driven functions (refrigeration, watermaking) to be performed while charging batteries with the engine. Their battery storage requirements are 100% related to the time between engine-driven charges, plus the added input from other sources they utilize: solar, wind, etc. Loads like inverters, refrigeration and lighting have a large impact on your energy budget, so it is difficult to estimate your needs without actually adding up the loads and duty cycles to find the total consumption. 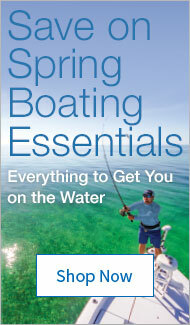 Most boaters who operate on battery power (no AC generator) end up using from 60-200 amp-hours (Ah) per day. Calculate your own needs using one of the two methods above. How much battery storage capacity do you need? A proven rule of thumb is to have 3-4 times your daily energy consumption in battery capacity. That means that boats that consume 120Ah per day of energy should consider having 360-480Ah of capacity. This rule allows you to avoid damaging deep discharges, and it reduces your recharging time. For more info about batteries and battery chemistry, see our West Advisor, Selecting a Marine Storage Battery. Batteries contain a tremendous, and potentially dangerous, amount of stored energy. Whenever you are working on your electrical system, remove the positive battery cables from the battery terminals to eliminate the chance of a short circuit and/or possible electrocution. The American Boat and Yacht Council (ABYC) publishes safety standards for circuit protection, wire sizes, and other related issues in electrical systems. 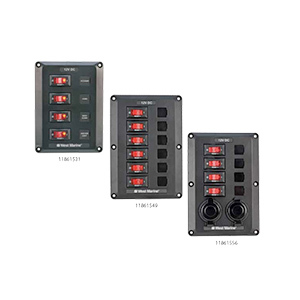 Where appropriate, we have provided information on circuit breakers and wire sizes which are in accordance with these guidelines. The complete text of these standards is available in reprints from the ABYC. Since the connections made in the battery circuits can conduct hundreds of amps, it is imperative that you have low resistance connections. 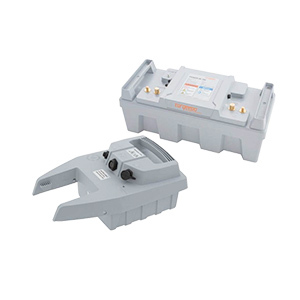 This means having clean metal-to-metal connections, the right size terminals which are properly crimped and waterproofed, and secure mechanical fasteners. For outboard engine applications we recommend replacing wing nuts on the tops of the battery with nylock nuts or hex nuts and lock washers that are tightened to at least 10 foot pounds of torque. For inboard engine applications you should use clamp–on battery terminals connected to the correct gauge of battery cable. Be sure to wear safety glasses when working on batteries and have a water hose or other available method of flushing battery acid out of the eyes and off the face. Be careful of using unshielded droplights or any open sources of heat or flame around the batteries. Be very careful with uninsulated tools that might short across the battery terminals.